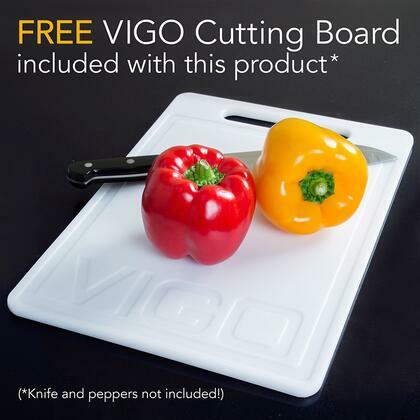 Free embossed VIGO cutting board included. Required interior cabinet space: 34"
Very happy with the quality . 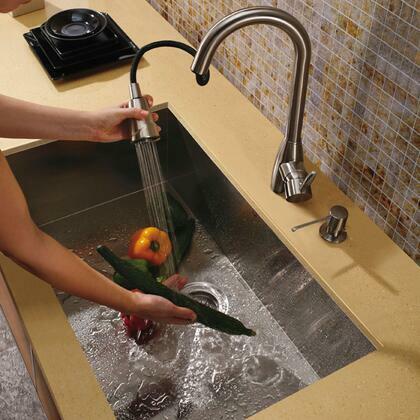 I would recommend this sink to friends. 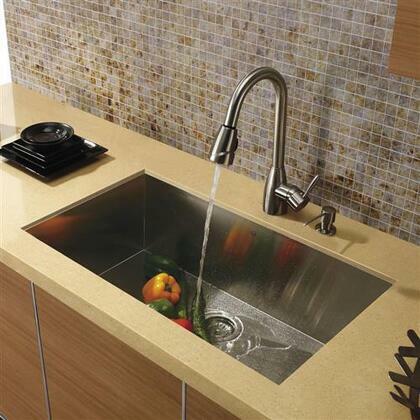 I bought this sink when I had granite countertops put in. 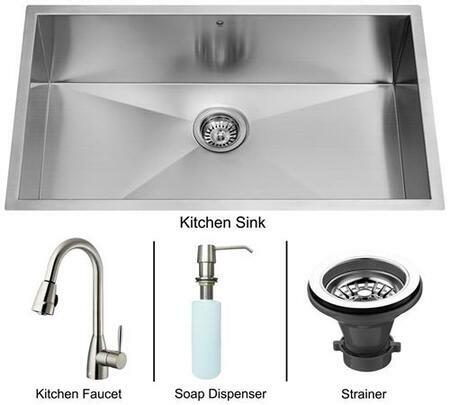 I looked at alot of different sinks. This was an excellent purchase. 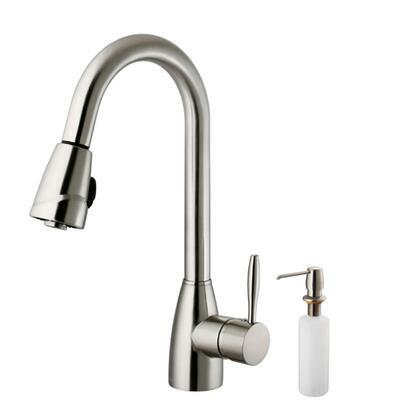 The price is great especially because it included the faucet along with a rack for the bottom and a free cutting board. It is so deep you can have what would be a overflowing pile of dishes in any other sink to not even being able to tell s in it. 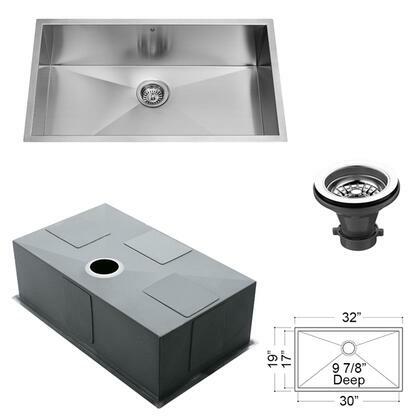 I highly recommend this to anyone looking for a deep sink at a great price. 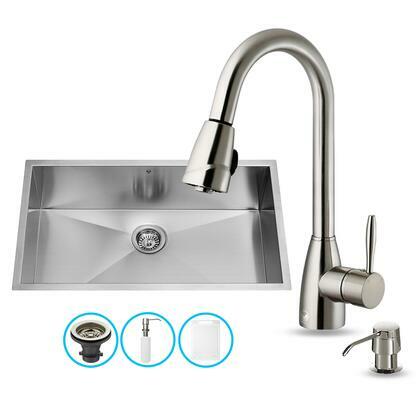 Purchased this sink because of its ultra modern looks and size. It did not disappoint. It's awesome and everyone comments on how great it is! Definitely worth the price. 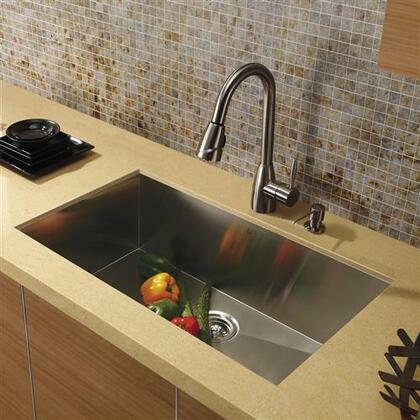 This is a great rectangular sink. The deep bowl allows more room for several dishes to be stacked. Bought this sink back in August. Just installed into my kitchen. Looks great. Very happy with the quality, price was great too. I bought this a month and a half ago. Looks great. VERY LARGE! 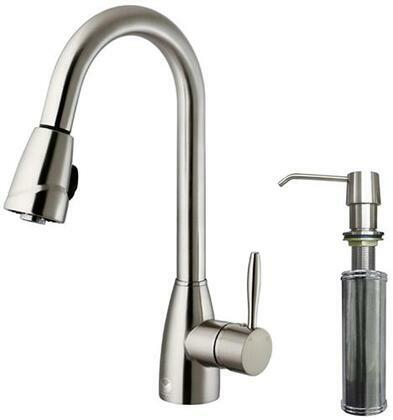 WE LOVE IT.EASY TO INSTALL AND THE FAUCET THAT CAME WITH THE ONE WE ORDERED IS TO DIE FOR! Exactly what I was looking for....a large chic sleek sink! This sink is large, which is why I got it. You can fit pans with a handle, without angling them in the sink. The packing was excellent with the sink in a cloth bag in a box so strong, you could stand on it. I kept the box for storage. The grate that fits in the bottom is nice. 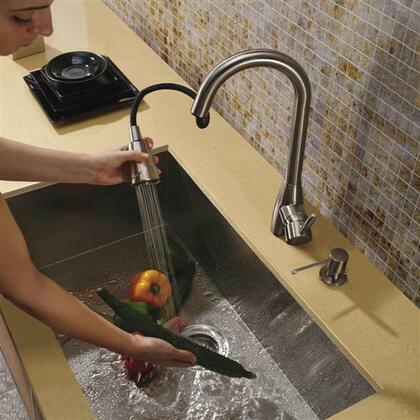 A great quality sink!